Here are the tools and information that are available to assist architectural and design professionals in the preparation of construction project specifications. Find an architect experienced with specifying real thin veneer in residential and commercial projects. 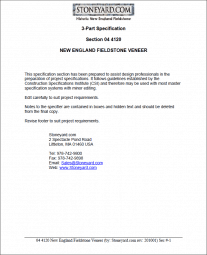 This guide contains the information needed to specify New England Stone Veneer products for your next project. It includes specs and pictures for all available colors and shapes, information on BIM Objects, packaging info, and installation instructions. You can print off your own copy or request a copy be sent to you. These documents are designed to assist architectural and design professionals in the preparation of construction project specifications. 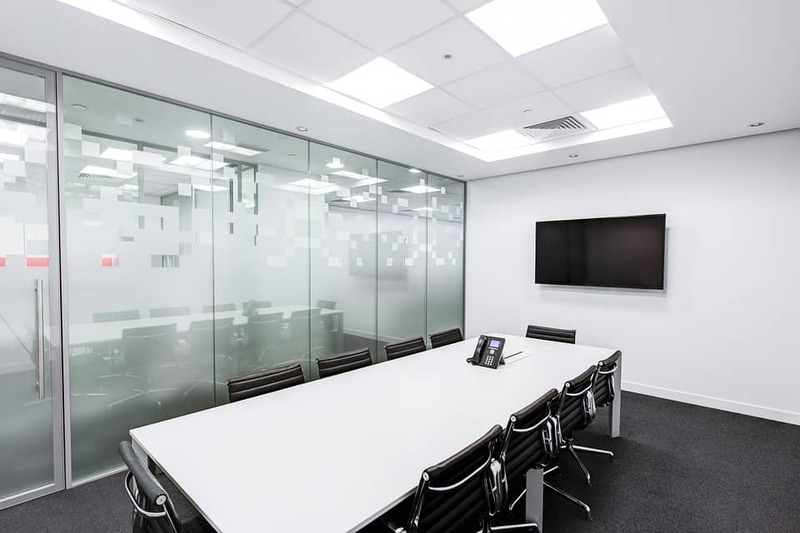 It follows guidelines established by the Construction Specifications Institute (CSI) and therefore may be used with most master specification systems with minor editing. During this 1 hour natural thin stone veneer course we will discuss the evolution of the masonry industry, new and unique applications, and important installation considerations. Participants will gain insights into this green, sustainable building material that will open up possibilities in design and construction. At the end of the course attendees will have the tools and knowledge to successfully incorporate natural thin stone veneer into their design specifications. Describe the evolution of the masonry industry from when stones were first used as a building material to modern day techniques and uses. Specify and design with natural stone for common and unique applications on commercial and residential projects for both interior and exterior installations, through visual aids and discussion. Identify the proper way to install natural thin stone veneer with the LATICRETE® Masonry Veneer Installation System (MVIS) over various substrates, including the use of corner stones and efflorescence prevention. 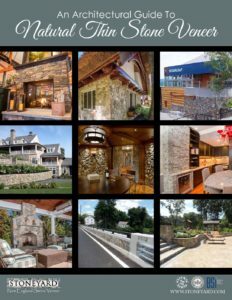 Address common questions and issues that arise when considering a natural thin stone veneer building material including waste calculation, grout and joint width considerations, temperature and weight restrictions, and the importance of mock-ups. STONEYARD® would like to help you with our exciting Lunch and Learn courses about natural thin stone veneer. We offer programs to discerning architects and designers in Massachusetts, Vermont, Rhode Island, Connecticut, New Hampshire, and Maine. A masonry expert will conduct the course of your choosing at your facility. Fill out the form below and a representative will contact you to schedule a class.